Living in a place where you can call home is what Kwento Ni Toto is longing for, an owned space for the family to enjoy and grow old. At present, many Filipinos are struggling to find their dream houses and most of them are considering different factors such as location, affordability and environment which determine whether a house can be turned into a home. Fortunately for prospective homeowners scouting a great home to live with, property developer PRO-FRIENDS or Property Company of Friends Inc. strategically consider these elements in creating residential communities for Filipino families. To provide what prospective homeowners are looking for and to support this mission, PRO-FRIENDS recently launched their newest campaign aptly called “We’re Home” at its 87 hectare development Carmona Estates. Held at the posh Blue Leaf Filipinas in Parañaque City, privileged media friends and special guests were among those who have been given a virtual walkthrough of the different offerings of Carmona Estates. 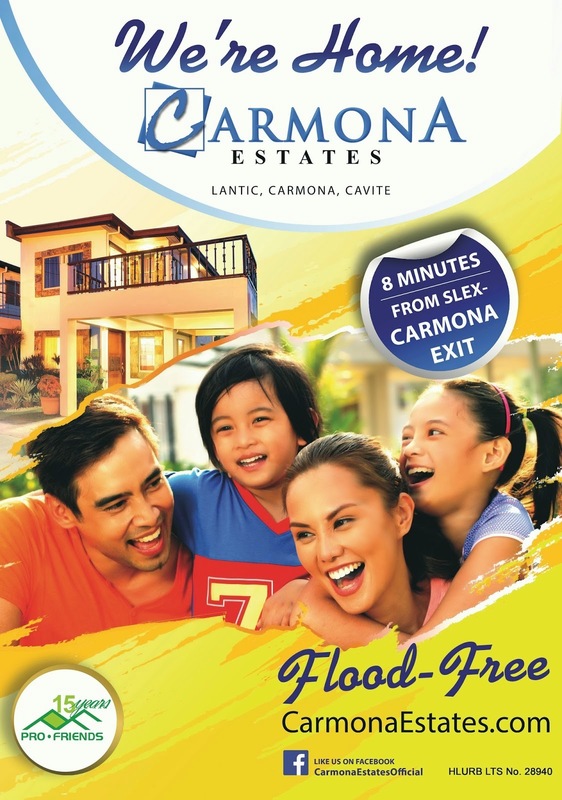 Carmona Estates, a noted development of PRO-FRIENDS, offers the most value for your hard-earned money. With an impressive portfolio of horizontal and vertical residential developments all over the country, PRO-FRIENDS is a trusted name in the real estate industry. This alone is assurance enough that choosing to reside within the Carmona Estates enclave is one of the wisest investments young married couples can have. “A house should be a place where you and your family feel most comfortable at – no pretensions, no hesitations. This is where you should be able to reveal your true self without fear of judgment. 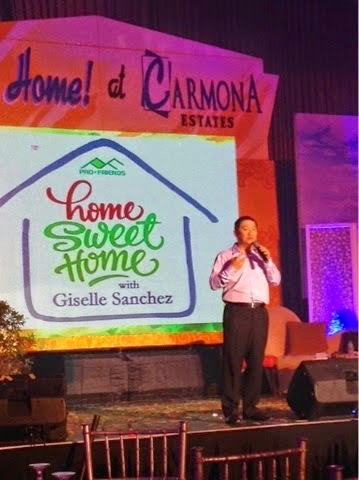 Carmona Estates, through the “We’re Home” campaign, delivers your own sanctuary, a space where you can be the way you are. Our house and lots are roomy and cozy, perfect for a growing family who seeks to be completely at home in their own house. Our units are both affordable, starting at PhP9,300/month for the Pines house model, with no lump sum or balloon payments, and spacious with well thought-out designs, something that’s rarely offered in the market today,” says Mr. Augusto G. Leonardo, Jr., PRO-FRIENDS COO/EVP/Business Unit 4 Head. 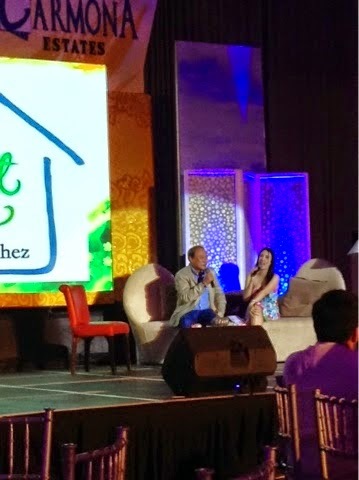 The launch wouldn’t be complete with a host, so Carmona Estates introduced celebrity mom and stand-up comedienne Giselle Sanchez for the campaign’s kickoff event-slash-brand launch. As a working mom who runs errands and does work in the areas of Makati, Muntinlupa and Manila, her ideal house is somewhere that’s quiet but still accessible to these areas. For Giselle, she knows she’s made the right choice when she gets the job done and, at the same time, arrives home early to her husband and children. A range of house models like townhouses and single-attached units, each smartly utilizing every available space, awaits different kinds of families. Upstart couples may opt for the Pines, a manageable 60-square-meter dwelling with three bedrooms and two baths, starting at PhP9,300 for the monthly payment. Meanwhile, bigger families may want the four-bedroom Oakwood, a spacious 104-square-meter expanse with enough room for two cars, starting at PhP18,900 a month. Situated at Barangay Lantic in Carmona, Cavite, Carmona Estates is a thriving community with existing happy homeowners already. Residents can also spend their time in the community’s sprawling greenery, where a playground, swimming pool are available for every homeowner’s use. Carmona Estates is conveniently located eight minutes from the Carmona Exit of the South Luzon Expressway, and just a few minutes away from the Carmona town proper and public market. It is a flood-free community that fosters belongingness, comfort and security.